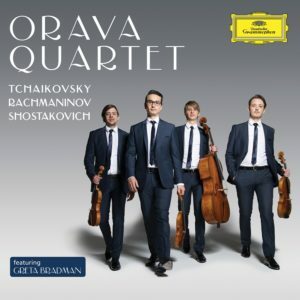 Deutsche Grammophon Australia is thrilled to announce the signing and debut album release of the country’s most promising young string ensemble: the Orava Quartet. Consisting of members Daniel Kowalik, David Dalseno (violins), Thomas Chawner (viola), and Karol Kowalik (cello), the Quartet has been hailed as the ‘future of Australian chamber music’ (The Australian), having arrived ‘not merely on the international scene, but somewhere near its apex’ (Australian Stage). 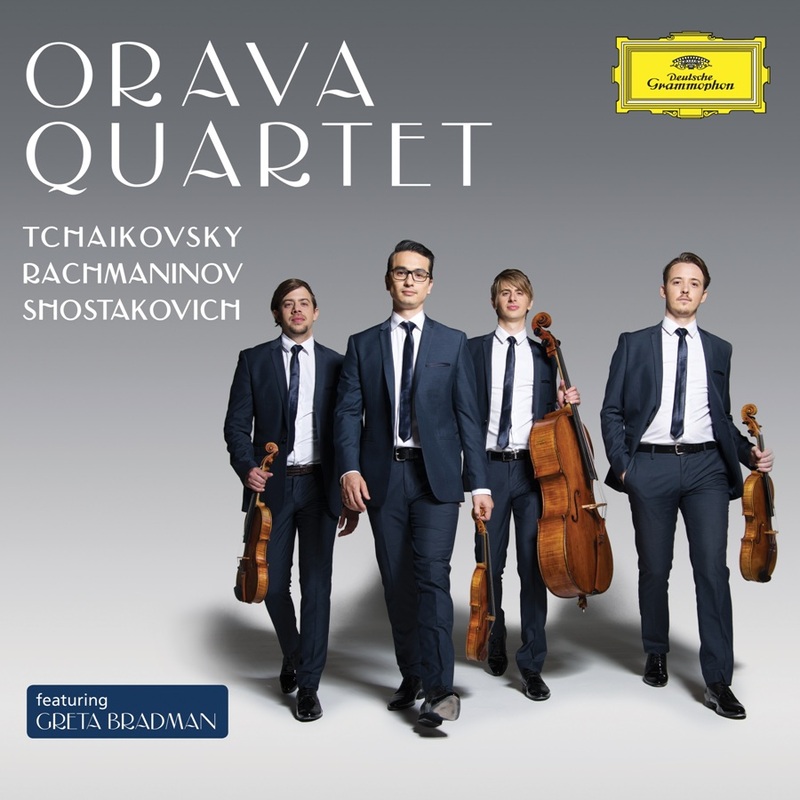 For its debut album, the Orava Quartet invites the listener on an emotive journey across a century of Russian music, from the lyrical Romanticism of Tchaikovsky’s first string quartet in D major, Op. 11 – which includes the famous Andante cantabile second movement – to the little-known fragmented string quartet of Rachmaninov, in which only two movements have survived, to the troubled and oppressed world of 1960s Soviet Russia in which Shostakovich wrote his eighth string quartet, Op. 110. The incomplete Rachmaninov quartet is recorded here for the first time ever on the famous Deutsche Grammophon label. Also included on this album is a special bonus track featuring Australian soprano Greta Bradman, singing Rachmaninov’s famous Vocalise, arranged especially for this recording for soprano and double string quartet by Australian composer Richard Mills AM. To achieve this, the Orava Quartet performed both quartet parts, overdubbing themselves in the studio. Music by the Springs Festival (VIC) – 9-11 Feb. More details. SYDNEY: SOH Utzon Music Series (NSW) – 18 Feb. More details. BRISBANE: Romance & Revolution (QLD) – 24 Feb. More details. WELLINGTON, NEW ZEALAND: New Zealand Festival (NZ) – 1 March. More details. MELBOURNE: Melbourne Recital Centre Southbank Series (VIC) featuring guest appearance by soprano Greta Bradman – 13 March. More details. CANBERRA: Canberra International Music Festival (ACT) – 27 April-6 May. More details.